GlamAmor at A Current Affair this Weekend! Bringing together over 25 premier vintage retailers and private dealers from Los Angeles and beyond, A Current Affair will be an incredible opportunity to shop a select assortment of vintage apparel, jewelry, and accessories. For those who love designer vintage, expect to see plenty--including Azzedine Alaïa, Balmain, Chanel, Chloe, Comme des Garcons, Givenchy, Issey Miyake, Halston, Lanvin, and Yves Saint Laurent. In addition, Unique LA and Artisanal LA will both be showing across the street at the Cal Mart and Cooper Building the same weekend, so it will be one stop for all your holiday shopping! 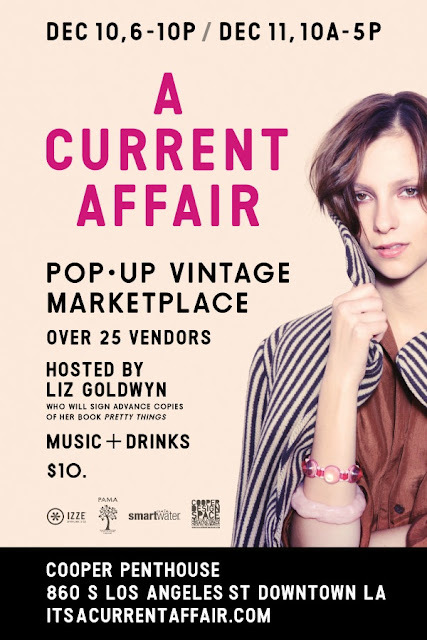 The Friday opening night cocktail party will be hosted by filmmaker and author Liz Goldwyn. 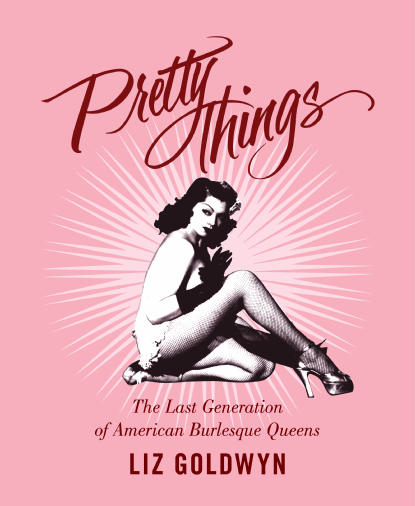 She'll be signing copies of her book, Pretty Things: The Last Generation of American Burlesque Queens, available at the show two weeks in advance of its HarperCollins launch. There will also be a curated installation of her ten favorite looks from A Current Affair on display and available for purchase. Setting the atmosphere for the opening night will be music by DJ Nguzunguzu and beverage service sponsored by PAMA pomegranate liqueur, IZZE sparkling drinks, and Smartwater. It's going to be an amazing weekend downtown. Don't miss this great deal from Gilt City to attend the show. Hope to see you there!